AM-1241 CB2 Receptor Agonist Attenuates Inflammation, Apoptosis and Stimulate Progenitor Cells in Bile Duct Ligated Rats. “The cannabinoid receptor 2 (CB2) plays a pleiotropic role in the innate immunity and is considered a crucial mediator of liver disease. Cannabinoid CB2 receptor activation has been reported to attenuate liver fibrosis in CCl4 exposed mice and also plays a potential role in liver regeneration in a mouse model of I/R and protection against alcohol-induced liver injury. In this study, we investigated the impact of CB2 receptors on the antifibrotic and regenerative process associated with cholestatic liver injury. Following bile duct ligation (BDL) for 3 weeks, there was increased aminotransferase levels, marked inflammatory infiltration and hepatocyte apoptosis with induced oxidative stress, as reflected by increased lipid peroxidation. Conversely, following treatment with the CB2 agonist, AM-1241, BDL rats displayed a reduction in liver injury and attenuation of fibrosis as reflected by expression of hydroxyproline and α-smooth muscle actin. AM1241 treatment also significantly attenuated lipid peroxidation end-products, p53-dependent apoptosis and also attenuated inflammatory process by stimulating IL-10 production. Moreover, AM1241 treated rats were associated with significant expression of hepatic progenitor/oval cell markers. CB2R agonist prevents nicotine induced lung fibrosis. “Nicotine stimulates fibroblast proliferation while increasing inflammation and fibrosis of tissues. The cannabinoid receptor 1 (CB1R) is mainly located in the CNS, while cannabinoid receptor 2 (CB2R) is located in the immune cells within the body. CB2R regulates inflammatory processes and fibroblast function. Crystal Structure of the Human Cannabinoid Receptor CB2. “The cannabinoid receptor CB2 is predominately expressed in the immune system, and selective modulation of CB2 without the psychoactivity of CB1 has therapeutic potential in inflammatory, fibrotic, and neurodegenerative diseases. Here, we report the crystal structure of human CB2 in complex with a rationally designed antagonist, AM10257, at 2.8 Å resolution. The CB2-AM10257 structure reveals a distinctly different binding pose compared with CB1. However, the extracellular portion of the antagonist-bound CB2 shares a high degree of conformational similarity with the agonist-bound CB1, which led to the discovery of AM10257’s unexpected opposing functional profile of CB2 antagonism versus CB1 agonism. Cannabidiol reduces airway inflammation and fibrosis in experimental allergic asthma. “Asthma is characterized by chronic lung inflammation and airway hyperresponsiveness. Asthma remains a major public health problem and, at present, there are no effective interventions capable of reversing airway remodelling. Cannabidiol (CBD) is known to exert immunomodulatory effects through the activation of cannabinoid-1 and -2 (CB1 and CB2) receptors located in the central nervous system and immune cells, respectively. However, as the role of CBD on airway remodelling and the mechanisms of CB1 and CB2 aren’t fully elucidated, this study was designed to evaluate the effects of cannabidiol in this scenario. Allergic asthma was induced in Balb/c mice exposed to ovalbumin, and respiratory mechanics, collagen fibre content in airway and alveolar septa, cytokine levels, and CB1 and CB2 expression were determined. Moreover, expressions of CB1 and CB2 in induced sputum of asthmatic individuals and their correlation with airway inflammation and lung function were also evaluated. CBD treatment, regardless of dosage, decreased airway hyperresponsiveness, whereas static lung elastance only reduced with high dose. 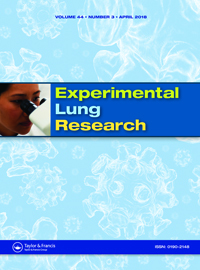 These outcomes were accompanied by decreases in collagen fibre content in both airway and alveolar septa and the expression of markers associated with inflammation in the bronchoalveolar lavage fluid and lung homogenate. There was a significant and inverse correlation between CB1levels and lung function in asthmatic patients. The Role of Cannabinoids in the Setting of Cirrhosis. “Although the mortality rates of cirrhosis are underestimated, its socioeconomic burden has demonstrated a significant global impact. Cirrhosis is defined by the disruption of normal liver architecture after years of chronic insult by different etiologies. Treatment modalities are recommended primarily in decompensated cirrhosis and specifically tailored to the different manifestations of hepatic decompensation. Antifibrogenic therapies are within an active area of investigation. The endocannabinoid system has been shown to play a role in liver disease, and cirrhosis specifically, with intriguing possible therapeutic benefits. The endocannabinoid system comprises cannabinoid receptors 1 (CB1) and cannabinoid receptor 2 (CB2) and their ligands, endocannabinoids and exocannabinoids. CB1 activation enhances fibrogenesis, whereas CB2 activation counteracts progression to fibrosis. Conversely, deletion of CB1 is associated with an improvement of hepatic fibrosis and steatosis, and deletion of CB2 results in increased collagen deposition, steatosis, and enhanced inflammation. CB1 antagonism has also demonstrated vascular effects in patients with cirrhosis, causing an increase in arterial pressure and vascular resistance as well as a decrease in mesenteric blood flow and portal pressure, thereby preventing ascites. In mice with hepatic encephalopathy, CB1 blockade and activation of CB2 demonstrated improved neurologic score and cognitive function. Endocannabinoids, themselves also have mechanistic roles in cirrhosis. Arachidonoyl ethanolamide (AEA) exhibits antifibrogenic properties by inhibition of HSC proliferation and induction of necrotic death. AEA induces mesenteric vasodilation and hypotension via CB1 induction. 2-arachidonoyl glycerol (2-AG) is a fibrogenic mediator independent of CB receptors, but in higher doses induces apoptosis of HSCs, which may actually show antifibrotic properties. 2-AG has also demonstrated growth-inhibitory and cytotoxic effects. Synthesis of 13 C6 -labeled, dual-target inhibitor of Cannabinoid-1 receptor (CB1 R) and inducible nitric oxide synthase (iNOS). “Cannabinoid-1 receptor (CB1 R) antagonists/inverse agonists have great potential in the treatment of metabolic disorders like dyslipidemia, type 2 diabetes and non-alcoholic steatohepatitis (NASH). CB1 R inverse agonists have also been reported to be effective in mitigating fibrotic disorders in murine models. Inducible nitric oxide synthase is another promising target implicated in fibrotic and inflammatory disorders. We have disclosed MRI-1867 as a potent and selective, peripherally acting dual-target inhibitor of the cannabinoid receptor (CB1 R) and inducible nitric oxide synthase (iNOS). Marijuana Use Is Not Associated With Progression to Advanced Liver Fibrosis in HIV/Hepatitis C Virus-coinfected Women. “Marijuana (hereafter “tetrahydrocannabinol [THC]”) use has been associated with liver fibrosis progression in retrospective analyses of patients with chronic hepatitis C (HCV). We studied long-term effects of THC on fibrosis progression in women coinfected with human immunodeficiency virus (HIV)/HCV enrolled in the Women’s Interagency HIV Study (WIHS).